If you’ve been waiting for cheap flights from New York to Hawaii (or from Hawaii to New York), today’s the day. Prices are normally in the $400 range each way, and higher in summer. 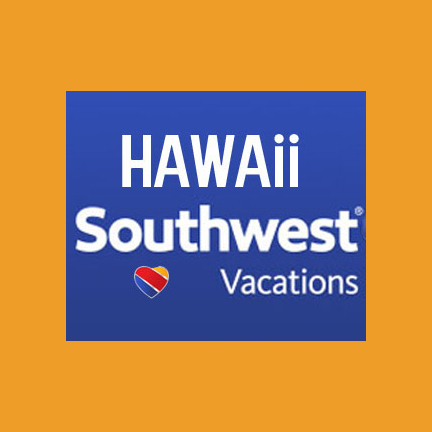 In addition to the deals below, we’re watching for any matching fares from other carriers including Hawaiian Airlines. 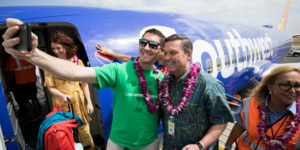 This is an especially good offer for New York to Hawaii travel. Travel can be purchased as a one-way ticket. 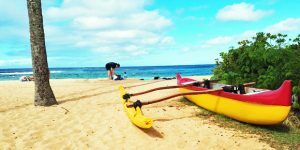 Cheap flights are available to the Big Island (Kona), Kauai and Maui. If you’d like to spend time in beautiful, warm Hawaii, at any time from now through November, here’s your chance. Travel and purchase dates: Buy soon for best availability as this could end at any time. Travel from January through November, depending on route. Travel can start either on the mainland or in Hawaii. Weekends are not included. Fares and Availability: Prices are each way, include all taxes and fees. Mid-week travel only. These are the lowest fares offered and are not available on all or even most dates/flights. At time of publishing, availability is good. Travel from January until November 2019, depending on route. Note: Check JFK, LaGuardia and Newark as all three have sales going at this time. Airlines: Alaska Airlines, American Airlines, Delta Airlines and United Airlines. Can we help? If you need assistance looking for available dates, leave a courteous comment below, and we’ll try to be of help. Keep in mind these offers will likely end today. New York to/from Lihue $260 each way on Delta Airlines. Now through November. New York to/from Maui $258 each way on Alaska Airlines, American Airlines and United Airlines. Now through February. 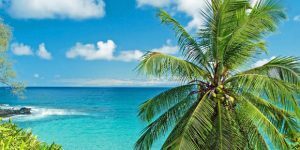 New York to/from Kona $255-$265 each way on American Airlines and Delta Airlines. Now through mid-March. Hello! Or should I say Aloha!! 🙂 What is your advice for airfare for August 2019 from NYC (any of the 3 airports, but EWR or LGA preferred)? Any price drop expected for the East Coasters due to the Southwest Effect? Hope to see you this summer. Thank you for this great website – so informative. Thank you. We really won’t know about Southwest effect on connecting flights for a bit here. We’ll all be interested to see that and it will be revealed soon. Moreover, for August (after the first week), we suggest you wait for several months until we get to more aggressive pricing for late summer and fall. Perhaps late spring. Hello, can you please help?. Looking for info on flying from PHL/EWR to OGG July 21, return July 28. Would it be cheaper to fly to LAX, then purchase round trip to OGG from there?. Any help would be greatly appreciated. It virtually never works out better to have separate tickets. Just under $1,000 RT on multiple airlines and about the same from either airport. Might come down down some due to Southwest’s entry, but we don’t really know at this point. Our sense is you may be better off waiting a month or two rather than buying now. I struggle finding cheap flights in December or November from Denver Colorado. It seems like there’s cheaper flights from New York. Please let me know if there’s a good way to get good prices on flights from Denver Colorado to any of the flying islands. Thank you so much for your help. There are some $334 RT fares from Denver to Kona on American this fall (October) and $448 on Alaska in November. Hope that helps. Prices should improve going forward from Denver as we anticipate more flights ahead. Hi! Thank you for your continuous coverage of deals – especially to and from the east coast! I’m interested in traveling back east the first and second week of October and I see you found some deals from EWR. Could you advise what dates you found in that vicinity for KOA to EWR and back? Things change up to 5x a day, so that was then and now is now. We do still see some October airfares on American for $396 in your time-frame. Mid-Week. Could you please show me available dates out of Houston? Thanks! I want a ticket from Houston TX Mahalo. Looking for under seat dimensions on the new Airbus 321. Do you know where I can find that info? Mahalo! No, not sure. You can call or chat online with the airline. See you soon and aloha! Thanks for your comment. Great to hear from you. could you please provide any dates for the $178 flights on American either to EWR from HNL or vice versa. Our dates are flexible. That fare is no longer available. The deal fares we publish are sometimes only available for a number of hours, sometimes a few days. Yesterday’s could be booked for about 6 hours before the airlines pulled them. 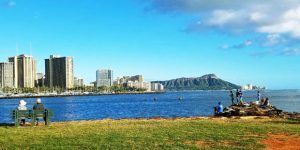 What is best price for LIT-HNL round trip early Jan 2019 t0 mid Feb 2019? Hi there! I’m not seeing a $178 fare from EWR to HNL on AA. I’ve tried a few different dates. Am I missing something? Still available. As mentioned in post, if you’d like to provide approx. dates we will help find nearest availability. My family is beginning to plan for our vacation next August (2018). So far it looks like 4 adults and 2 children (aged 5 and 1). We prefer to leave from Newark NJ (EWR) but would consider JFK if a really good rate is available. Any help you can provide will be greatly appreciated. Really too far out. You can start looking 330 days in advance, but best prices will probably not be available until 90 days in advance. Target price for Maui or Honolulu is $800’s with good connection or nonstop.